Here at this page, you’ll have District & Session Court Tando Muhammad Khan Jobs 2019 Application Form Download. 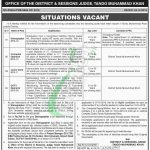 Jobs in District & Session Court Tando Muhammad Khan are available and it is seeking for highly educated, very experienced, hardworking and well-disciplined candidates for the following positions given below. Jobs in Session Court Tando Muhammad such as (Stenographer, Computer Operator, Junior Clerk, CCTV Operator). Appointment of above-mentioned positions will be held on a contract basis and the duration of the contract is extendable on satisfactory performance. Candidates willing to apply should have domicile of Sindh and Tando Muhammad Khan. Candidates should compare themselves with the eligibility criteria mentioned in the following image and according to the criteria candidates having a qualification from Matric to Graduation are eligible to apply for the relevant position because these jobs are for everyone. For eligible candidates we have provided how to apply procedure in the following heading, so read it carefully. Candidates have to apply on prescribed proforma which can be downloaded from www.sts.net.pk and www.jobsalert.pk. Candidates have to attach a paid challan form with application form of Rs. 700/- as test fee in favor of STS. Candidates should mention clearly the position applied for on the application form. The last date for submission of application has been extended from January 07 to January 19, 2019. The applicants already in Government service shall apply through their respective Departments / Proper Channels. Only shortlisted candidates will be called for written test/interview after submission of proforma depending on requirements. No TA/DA will be given to the applicants appearing test/interview. 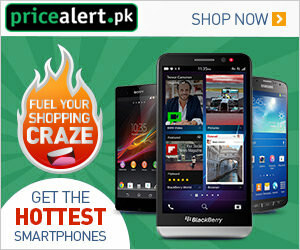 Stay in touch with us and keep visiting our site JobsAlert.pk. Address: SIBA Testing Service, Sukkur IBA University Airport Road Sukkur.